I throw knives. Scratch that, I throw nearly anything with a blade; knives, tomahawks, axes spears, rebar bo-darts, discs and even farm tools. I’m sure I’m leaving something off the list, but you get the idea. I was pleasantly surprised at how well a three-prong pitch fork I found on some property I purchased stuck. Just know that if you’re ever in a bind and that’s all you have, it’ll get the job done! There’s just something about that sweet music of metal chewing into a solid piece of wood. A man-made construct combining with a nature made target. 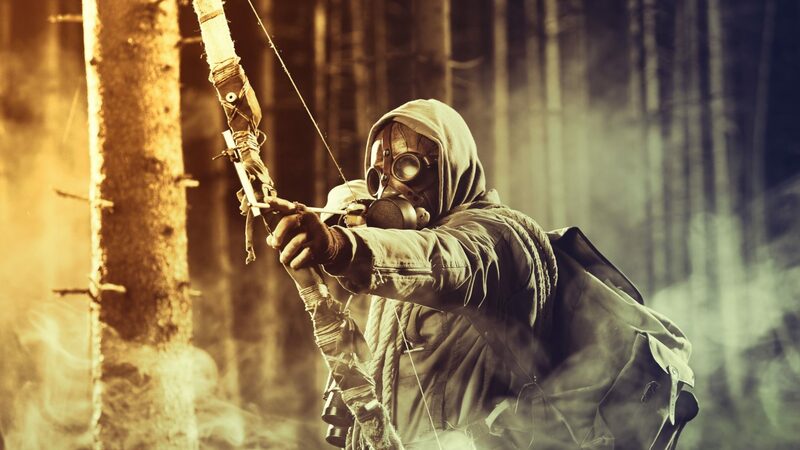 You know it when you hear it; the clunk of a finely tuned weapon finding its target. Or even a rusty hunk of metal that was never designed to be thrown, yet dives head-first and finds its mark. Now that you know how much I love throwing blades of all types; let’s talk about one of the current blades I’m working with. I rarely purchase throwing knives, they’re usually given as a gift or for me to review. This particular set of throwing knives was given as a gift last Christmas. They’re the Gill Hibben United Cutlery GH2033 Competition Throwers. You can buy them individually or as a set of three blades that comes with a leather sheath. (More on the sheath later). I recommend purchasing the set of three. I’ll tell you why later. First I’ll give you the manufacturer’s specs: The entire blade is 12-1/8-inches overall. 420 stainless steel construction. It came sharpened to a degree that’s good enough for throwing. It’s hefty, which helps with longer throws. All three blades fit into the leather sheath that was included. However, it’s a super tight fit and the leather seems to be low quality. You have to be careful not to cut yourself when squeezing them in. It gets the job done, but you may want to invest in a better leather knife sheath. So how did they throw? Up until now, I’ve always used smaller throwing knives. I had learned how to chuck them and stick in just about anything. I had purchased twelve of them at one time and practiced at least once a day. However, you have to throw smaller throwing knives harder to get them to stick and they’re trajectories are less dependable. They were cheaply made, but able to function as a thrower with practice. One throw with these larger, heftier Gill Hibben United Cutlery GH2033 Competition Throwers and I was hooked! While there are probably better throwing knives on the market, these seem to be near the top for the price and the number of blades you get. 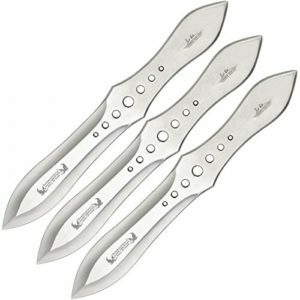 They are currently listed as 50 bucks on Amazon for three throwers and the sheath. I’d say they’re a pretty good deal for beginners and intermediate throwers. You’re going to chip them the more you throw and less than 50 bucks is a good price to start out with for throwers. Professionals may want something a little different and tailored to their throwing style, but we’re not talking about professional knife throwers here. 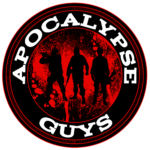 We’re talking about guys and girls who enjoy stepping to the target and chucking a few blades for fun. Taking them on a camping trip and sticking in a tree, that kind of thing. I’m not one to spend a fortune on throwing utensils as I like to throw whatever I can get my hands on. Doesn’t have to be fancy, but I do like a heavy throwing knife. I always recommend getting at least three to six of the same knife so you don’t have to run back and forth retrieving as often. Also, you will probably chip or break one eventually and will need a replacement. With three in a package, you will be able to better gauge your throws and make adjustments on the fly without running back and forth. This is important as you can change your grip, step back a few inches and adjust your throw. It’s hard to tell what you’re doing wrong if you only have one thrower. You’ll find yourself running back and forth and losing your spot. I’ve thrown these thousands of times and nicked them in a few spots, but no breakage. That’s a good sign! 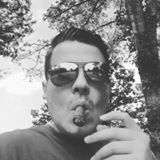 I’ve read tons of throwing knife reviews and make notes on the ones that break easy. I’ve broken blades before and hate when I spent a good penny on them. Let’s talk about wearing gloves when throwing knives for just a moment. Some people say you shouldn’t, others swear by it. Personally I wear a weightlifting glove on my throwing hand to pull the blades from the target. If you throw a lot, you’re eventually going to hit one of your knives in the handle, causing a tiny splinter. I’ve gotten these in my hands before and it’s not fun! Also, there will be times when you stick these throwing knives into your target backwards! It’s hard to tell which end is which at first glance and if you run your hand along the blade and pull, it will slice your hand open. So, where gloves or not, this is just a few things that’s happened to me over the years. I would like to note that this would not be necessarily be considered a “Survival Knife.” If that’s what you’re looking for, check out these SURVIVAL KNIVES! However, if you happen to find yourself in the ZOMBIE APOCALYPSE and this is the only knife you have, it’ll do the trick. You would want to wrap the handle in something such as paracord to improve the grip and by no means would you throw it unless you absolutely had to. You don’t want to be throwing your only survival knife, you could lose it, or worse, your opponent could take it and have the upper hand. (1) Did it hold up to numerous throws over a long period of time? (2) Was it fun to throw? (3) Would I purchase it again? I can answer YES to all of these. The only reason I haven’t bought more is because I’m more into throwing tomahawks, but it’s good to have some of these lying around for when friends come over to throw. You can purchase the Gil Hibbon Competition Throwing Knife Set with Sheath right HERE. 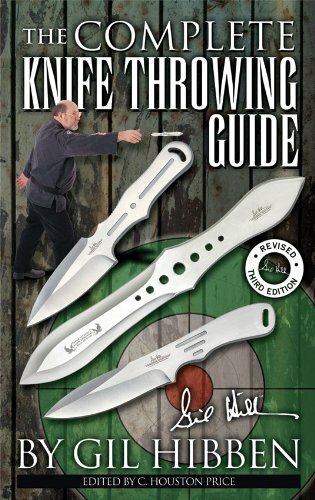 New to knife throwing and need a book? 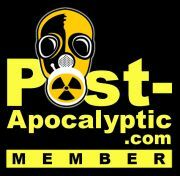 Want to hear what others are doing in the post-apocalyptic genre? 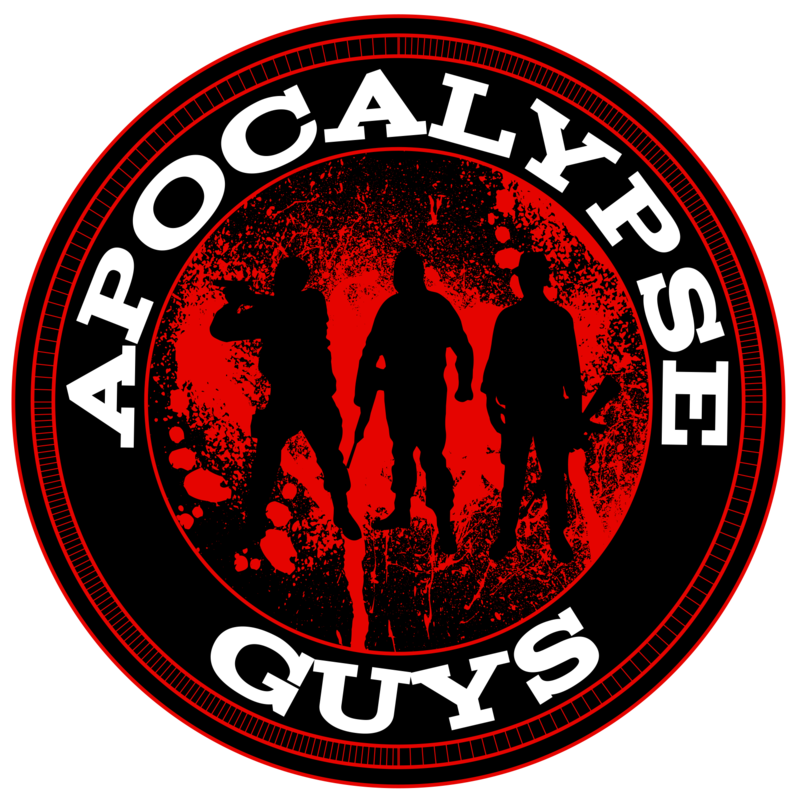 Check out our Q & A Series. Q & A with Actor, Patrick Constantine Bertagnolli, Jr.
Stay up-to-date with all things post-apocalyptic and survival with The Apocalypse Guys! Follow us on SOCIAL MEDIA!